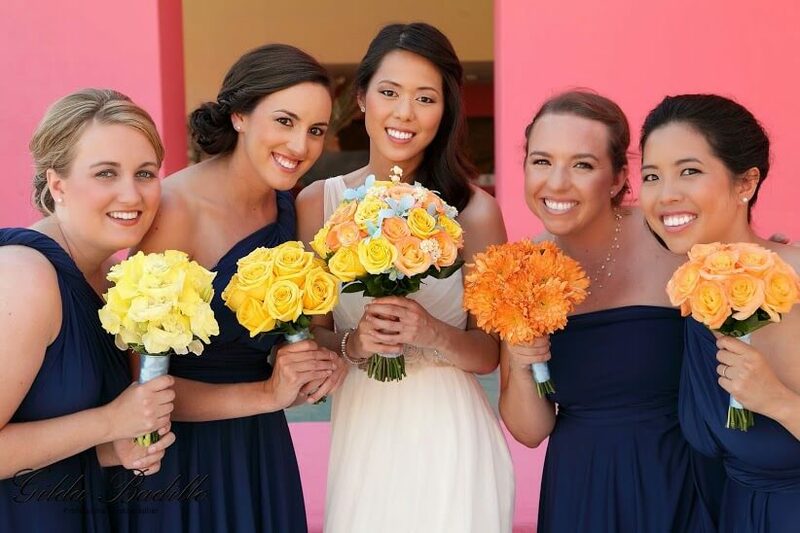 Lovely bride Leslie got married at the Westin Los Cabos this past May and we had the privilege of styling her entire bridal party, along with her mother and the mother of the groom. It’s important to remember the mothers when you book your bridal party hair and make-up. It’s always a nice touch to get Mom’s hair and make-up done with all the ladies who are getting ready for the big day! Leslie had a unique one-shoulder wedding gown, so we styled her hair in a sideswept down-do to balance the look. Her make-up emphasized a great smile and flawless skin, and the overall result was very soft and romantic. 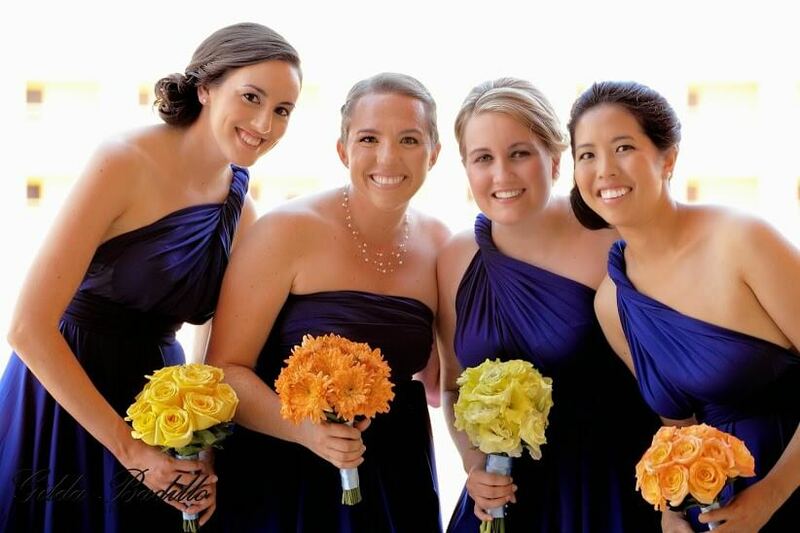 The bridesmaids wore similar one-shoulder gowns in a deep blue. Their hair and make-up style was also soft and natural, with variations on a twisted side chignon. 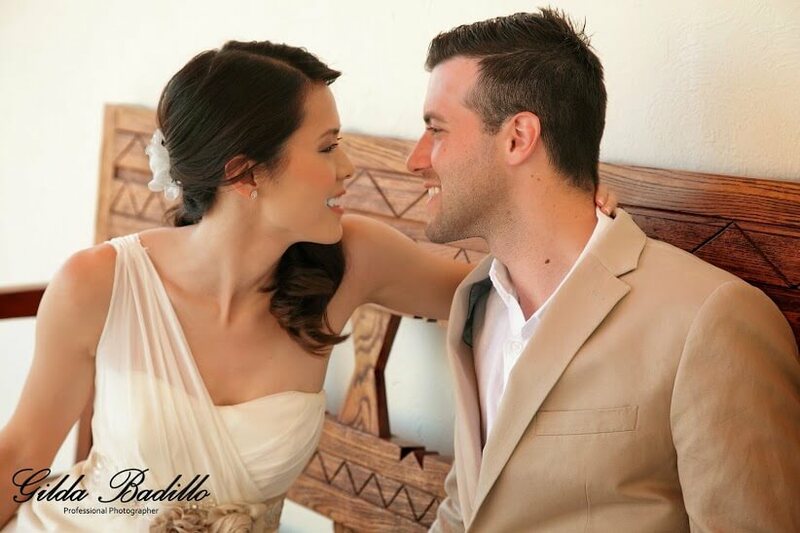 Thank you Gilda Badillo for these beautiful hair and make-up photos at the Westin Los Cabos! 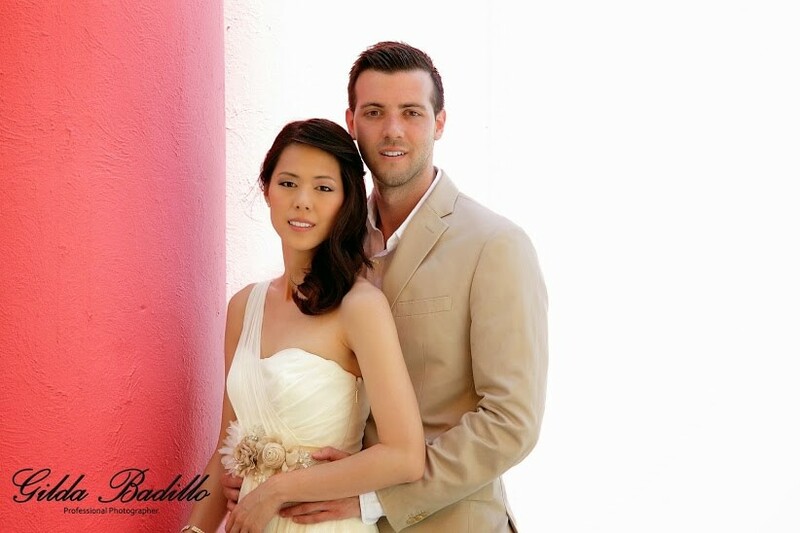 This entry was posted in Cabo Bridal Hair and Makeup and tagged best Cabo hair and makeup salon, bridal party hair and makeup, Cabo bridal hair and makeup, Cabo hair and makeup, Cabo hair and makeup stylist, Cabo wedding hair and makeup, destination wedding hair ad makeup, Gilda Badillo photography, Mexico wedding hair and makeup, Suzanne Morel, Westin Los Cabos.